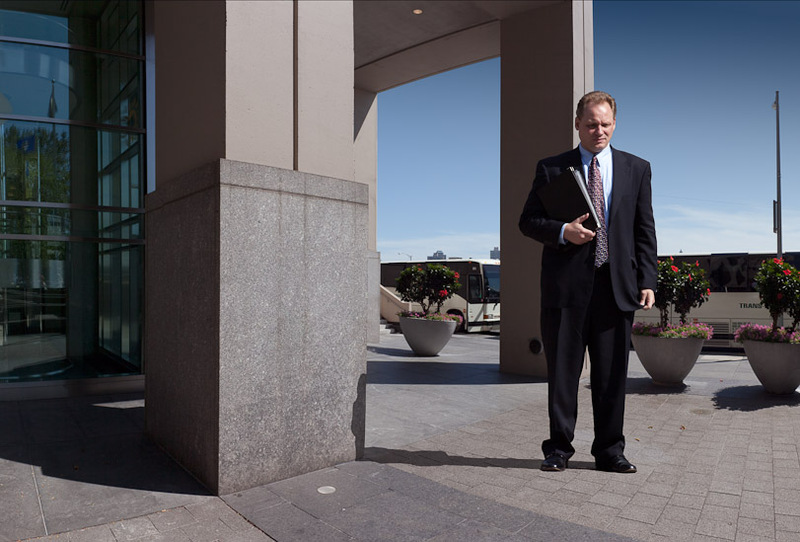 Two pieces from Professor Jack Toolin’s latest body of photographs, White Collar, are included in the exhibition Exchange: Show Me the Money, at the Greenlease Gallery, Rockhurst University, Kansas City, MO, running from April 29 to May 13, 2011. White Collar is a body of photographs exploring the shifts in role and status encountered by Western white-collar workers in an era of economic instability. 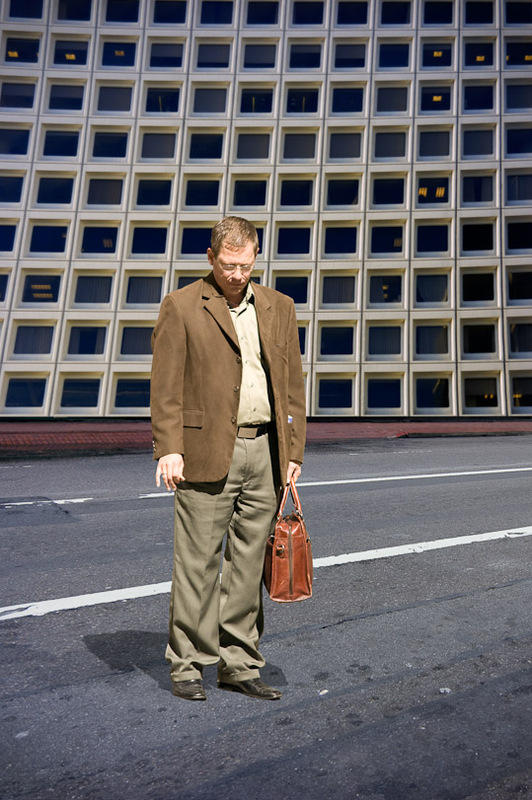 Currently comprising 21 photographs, the series metaphorically reflects on the evolving position of Western economic power and its impact upon a particular group of people—middle-aged white males—as the American Dream slowly dissolves into a global common denominator, and their previously assured status becomes elusive. Part of the series depicts these men in in-between moments—speculating, reflecting, pondering against the backdrop of urban business districts—that become a reflection on the stress of competitive urban life and economic fluctuations. These images are paired with ones that capture the signifier of global market relevance, the office tower, appearing both stunning and ominous at once. Together, the images of the businessmen and office towers capture the current uncertainty and ambivalence surrounding their status, which has been fluctuating between the promise of economic progress, the embodiment of greed, and the masters of global capitalism’s mercurial nature.